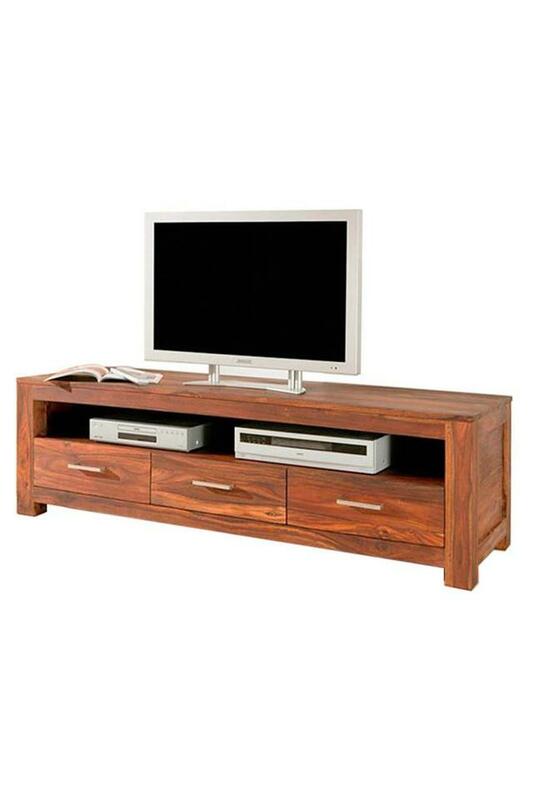 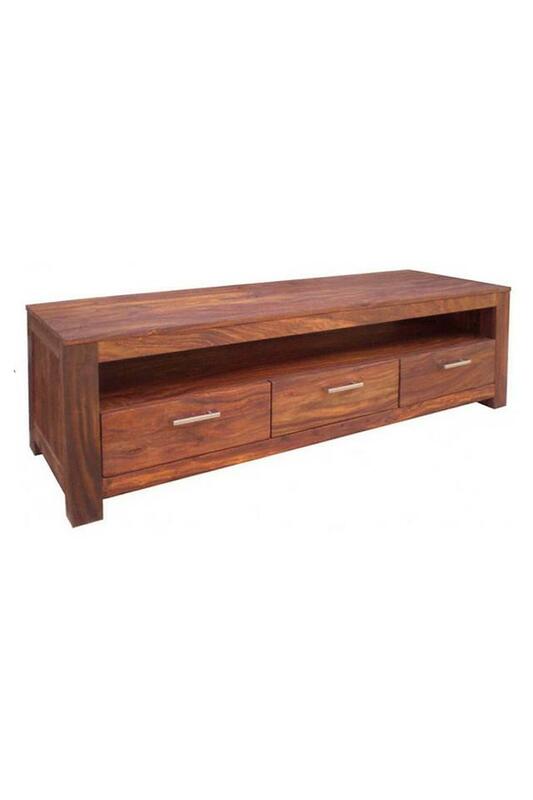 Buy this beautiful TV cabinet and add a touch of elegance to your room. Made from seasoned sheesham wood it surely is durable and made from of high grade sheesham wood. Three drawers below and open shelf are of great functionality. 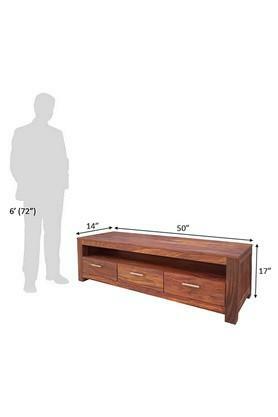 Shelves can be used to decorate it more with your Ideas. Dimensions - 127 x 36 x 43 cm.